Every traders wants to find a tool that can tell the time of potential big moves of the market. Fibonacci time analysis is such a tool that can be very effective in determining the potential moves of any financial market. In Fibonacci time analysis fibonacci 1.618 ratio also called golden ratio is used. We can conduct fibonacci time analysis in two different ways, mathematically and with fibonacci time zones tool. The above illustration explains the both ways of fibonacci time analysis. In both ways, we have to find two peaks or two valleys. The analysis can be done on the chart of any time frame, but the larger time frame analysis is more reliable. I will suggest to conduct a fibonacci time analysis on daily or four hour charts. To find the time of potential big moves with fibonacci time zones, we need to start the time zones tool from peak-1 to peak-2 or from valley-1 to valley-2. Generally, the tool will show vertical lines after the specific time periods as in fibonacci series. 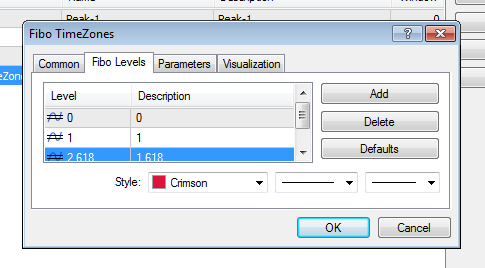 But here we will go to the object list and edit the inserted fibonacci time zones tool.We need to put the levels as shown in the image below.Now we will easily find the time of potential big moves. 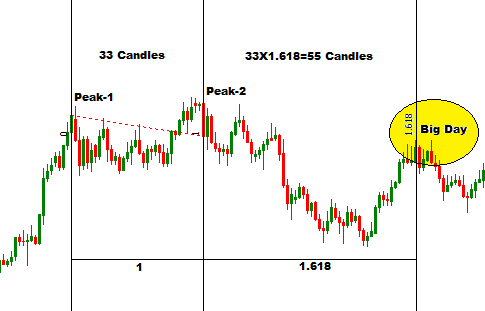 To find time of potential moves mathematically, we will just count the candles within two peaks or two valleys, then we will multiply the number of candles within the peaks or valleys with 1.618. The big day or time will come after the number of candles found from the followed calculation. The example illustrated below is a practical application of the techniques which will make the process easy to you. In the above practical market situation two valleys are used to find the potential market move, and in the following practical market situation two peaks are used to find the potential market move. In the above situations, when the valleys are used, we got a valley at the time of potential big move and when the peaks are used, we got a peak at the time of potential big move. It is not necessary to find the situations similar to the above situations. At the time of potential big moves either a peak or valley can be found. The very crucial condition to conduct an effective fibonacci time zones analysis is to find the appropriate peaks and valleys. The peaks and valleys should be beyond the average price range.Traders can conduct a fibonacci time analysis when ever he/she gets two peaks or two valleys. 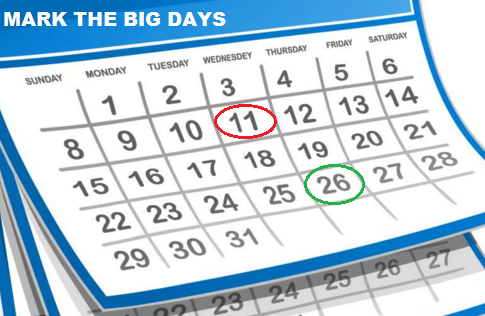 I generally use the day chart to conduct the fibonacci time analysis and mark the big days. on the calendar as below. 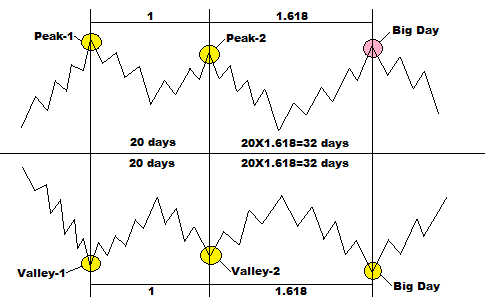 The fibonacci time analysis is not a technique to find the entry and exit signals. 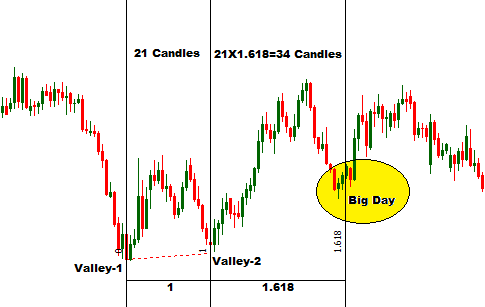 At the time of potential big moves, traders can place profitable orders confirmed by other technical analysis tools.